As Duke CE Client Director, Jeremy provides a combination of business and leadership expertise and a practical, results-oriented approach gained with world-class brands, notably in the media, finance, manufacturing and pharma sectors. 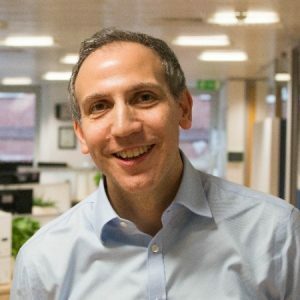 Formerly Senior Vice President with The Economist Group (and a Duke CE educator), Jeremy has experience running and building his own successful coaching, consultancy and leadership development practice. He has worked with industry-leading clients worldwide developing and delivering innovative, high-impact leadership programs as well as coaching executives and working with senior teams. Jeremy is the author of 27 books translated into 16 languages with worldwide sales in excess of one million copies. The first 15 years of Jeremy’s career were in business publishing. During his career Jeremy has worked with a range of successful businesses and world-class brands including Abbvie, Allergan, BBC, Citigroup, Chartered Management Institute, HSBC, Novartis, Pearson, Saudi British Bank, Tetra Pak, The Economist, Zurich. Jeremy has a Masters Degree in International Relations and a Diploma in Coaching from Henley Business School, and he lives in London.